How to Force ‘OK Google’ Hotword Detection to work when the Screen is Off on any Device [Root]: Hotword Detection is a wonderful feature that was first introduced by Moto X in 2013. Soon, many more brands offered this feature into the upcoming models. Hotword Detection is an exciting feature that allows you to control Google with your voice commands. This is especially useful when your hands are engaged such as when you are driving. You can also access Google Maps while driving by just a simple voice command. Hotword Detection requires a special piece of hardware to come with your device. It is a voice recognition chip that allows your device to respond to voice commands. Unfortunately, it is still not available on all the devices. However, you can still avail this feature via ‘OK Google’. But, it works only when the device is connected to a charger or when the screen in on. Let us learn a simple trick to enable ‘OK Google’ even when the screen is off. When the hardware that supports ‘hotword recognition’ is absent on a device, the only solution is to trick the device. “Ok Google” can work on all the devices under two conditions irrespective of the presence of the desired hardware. The first condition is when the screen is one and second condition is when the device is plugged in for charging. Thus, we need to find a trick that can fool a device into believing that it is in either of two states all the time. Similarly, there are two more versions of this command to make your device think that it is being charged via USB or a wireless charger. It does not make any difference, which of the three commands you use. All of them serve the purpose equally well. This is one of the ways makes Google’s hotword work even when the screen is off, on a device that lacks the supporting hardware. Here, it is important to understand that using this command is not normal for any device. This command is meant to be used by the developers to check the response of the device under different charging inputs. Thus, it can result in a couple of drawbacks. Every Android device comes with a BatteryManager Service. This service collects and reports the status of the battery in terms of the health, voltage, current, temperature and battery level. 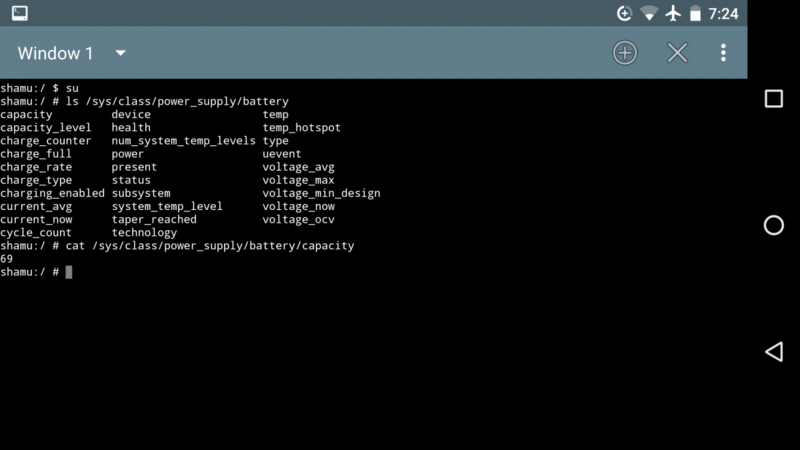 When you run the above command on your device the BatteryManager Service stops working. The services enter into a ‘frozen mode’ where the applications stop to collect any data regarding the status of the battery. The problem with this mode is that you will not receive any notification regarding the problems in the status of the battery. The good thing about the problems is that it can be rectified easily. Even when you do not receive any notification, the data regarding the status of the battery is still being collected all the time. You just need to find a way to get access to this information. This can be done with the help of an automation application such as Tasker. It can be enabled to receive notifications for any text stored in /sys/class/power_supply/battery/capacity. Another important thing that you need to consider here is that you do not need to use the trick when the screen is in on state. Thus, you can be smart and disable this command when the screen is turned on. This will allow you to stay away from all the drawbacks that were occurring due to activating the command. Most importantly, “OK Google” will still be working perfectly. You can set up the Tasker profile to enable command when the screen is off and disable it when the screen is turned on. This will automatically enable and disable the command when the screen of your device is switched between ‘On’ and ‘Off’ mode. The second drawback of running this trick is that it leads to draining of your battery. This happens because the Hotword Detection requires some additional apps to run all the time in the background. These additional applications draw extra power from the battery assuming that it is being plugged into an external power supply or charger. The performance of your battery can reduce by 15 to 20% when the command is enabled for a duration of 12 hours. Unlike the first drawback, there is no way you can avoid this drawback. You will have to deal with the reduced battery life. The problem can be reduced to some extent by disabling the command while the screen is on. However, mostly the screen of your device is off. Thus, the power saving achieved through this method is very less. If you have any query regarding the article “How to Force ‘OK Google’ Hotword Detection to work when the Screen is Off on any Device [Root]”, then please share in the comment section below!